In the mail this week…a book on “Tejido Huave” by Erica de Ruiter which is described as “Easy pick-up patterning on two, three or four shafts”. I had quite recently seen images online of Mexican Huave textiles decorated with supplementary wefts and used a butterfly motif from one of them on a warp-faced sampler of inlaid brocade patterns. I am interested in seeing the variations that Erica de Ruiter has developed using the Huave textiles as her inspiration. It will be fun to play with more than three sheds on my backstrap loom and, to get into the swing of things, I set up my loom for a four-shed weave this week using three sets of string heddles, a shed rod and my lovely bamboo reed. Finally this bamboo reed gets to do some real weaving with its new owner. I got two reeds like this at a stand selling textiles and weaving implements of Chinese minority groups at Convergence last year. 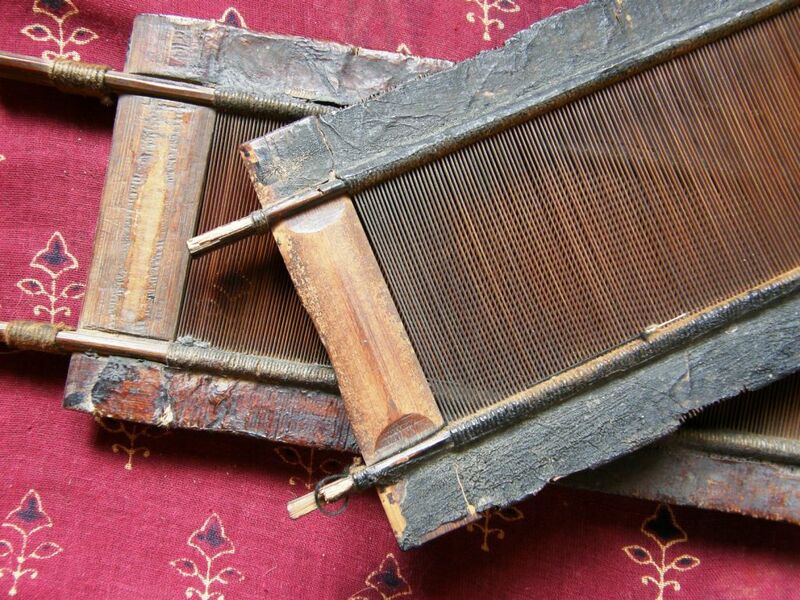 My mind wanders off thinking about who may have been the previous owner/s of these reeds, what kinds of warp thread passed through their slots, what kind of weft they beat into place and the fabric they were used to produce. I made a tiny sample a few weeks ago to see how suitable my thread was for the spacing of the slots and since then have been dithering over what kind of weaving I want to do. This reed is 23 dpi and I am using my #10 crochet cotton. I guess I am working backwards as one usually chooses their yarn, figures the sett for the desired technique and then uses the appropriate reed. I, on the other hand, have the reed and am figuring the rest out with that as my starting point. You can see my tiny sample above. I wove just enough to be satisfied that my #10 crochet cotton works well in this reed. I was thrilled with how it looked after weft finishing. I went ahead with a four-shaft, four-treadle shadow weave using a draft I found online. I made string heddles for the threads on the shafts for each of the treadles…three sets of continuous string heddles with threads for the fourth treadle held on a shed rod. So the threads for shafts 2 and 4 (treadle 1) went all together in one heddle and so on. Of course the whole business is a lot more stable with this width. When I wove the tiny sample it was very awkward handling the wide reed on the narrow warp. The reed sits up nicely on this wider piece and it is really quite a comfortable set-up. I mis-counted in the sequence at the start before things really got underway. Now I am really enjoying this! I don’t care for the edges and have yet to find a good way to turn the two wefts. I warped two ends of double- stranded black thinking that that might make a good edge…well, not so much! This has been all about the process so I had no thoughts at all in the planning stage about what this piece might end up being. I only wound a one-yard warp and now I am thinking that I might use it as lining for a bag. It is odd for me having to wait to wet-finish this piece to see what it will really look like. In the kind of warp-faced weaving that I do, what you see on the loom is what you get. I am really impatient to get this off the loom, wash it and see the final product but, at the same time I am really enjoying weaving it…just raising heddles and passing wefts…such a change not doing any pick-up! Two very different projects on the loom this week. One was all about matching designs and the other about yarn and sett for shadow weave…sett and match! The other weaving I did this week did involve pick-up. I made a set of mug rugs in double weave to match the patterns on the four place mats I recently finished. The patterns on the place mats were woven with simple warp floats and I tried to include elements of the various motifs in the matching double weave mug rugs. I used weft twining on the edges of the mug rugs to match the finish of the place mats which also allowed me to incorporate the third color as each place mat had been woven in three colors. The “Worldwide Weaving Web” has brought all these wonderful patterns into my home which I have seen mostly in images online. 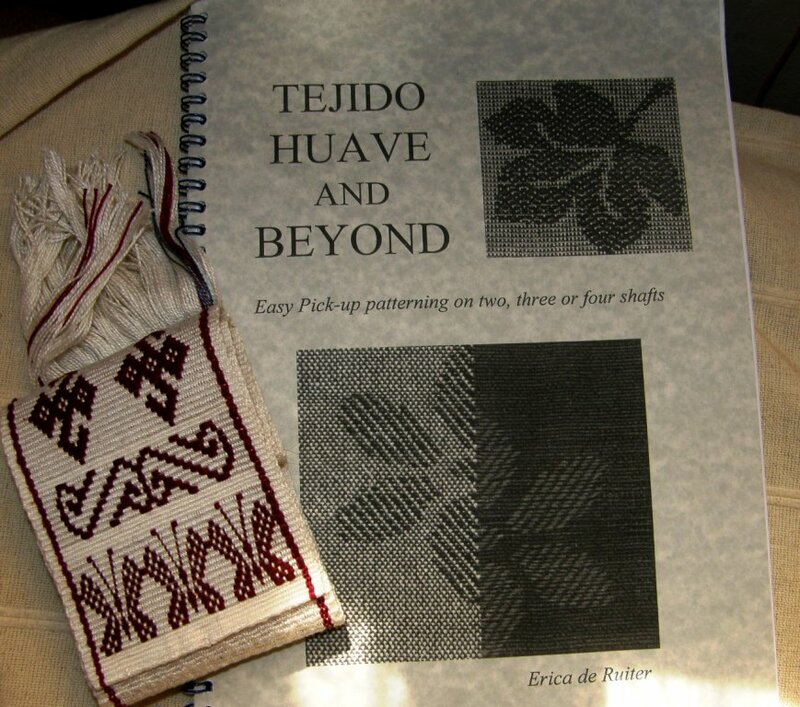 A wonderful book on Tejido Huave has come my way as a result of internet wanderings and a box of goodies arrived just today from an online weaving friend. During the Tour de Fleece on Ravelry our Backstrap Weaving Group organized a fiber gift exchange and here is what I got from Bobbie…some suri alpaca fiber to spin…so soft!! and four balls of cotton for my backstrap weaving. The colors were dyed by Bobbie herself. After having met Bobbie online I actually did get to meet her in person when I was in Portland last May. The rigid heddle segment was not in this box from Bobbie but came to me from another online friend who I haven’t had the chance to meet yet in person…Sharon in Florida. I have taken this heddle out in preparation for the Weave-Along that we are planning for the Backstrap Group starting at the beginning of September. (Read more about this in last week’s post.) It is a plain-weave Weave-Along in warp-faced or balanced-weave and some participants are going to use these bought plastic rigid heddle segments while others are making their own from sushi mats, popsicle sticks and plastic folders. 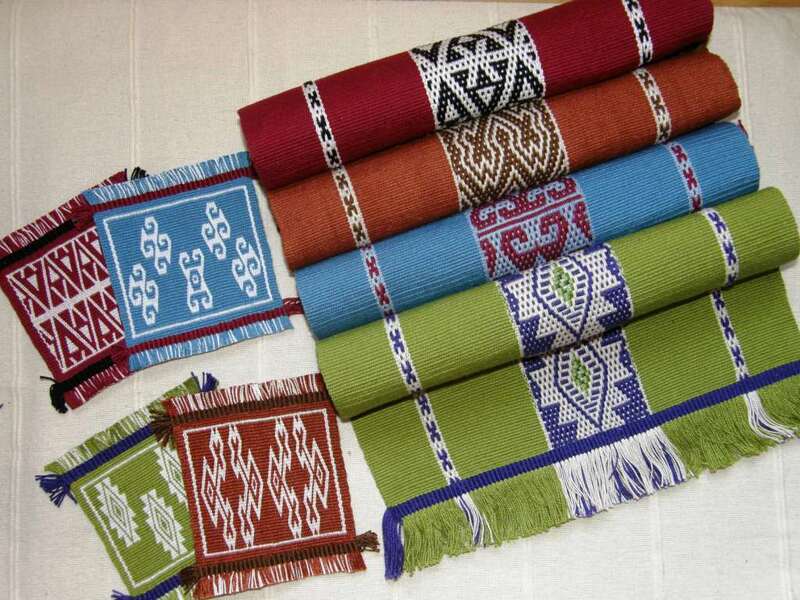 Others are planning ikat designs, colorful stripes and horizontal bars for their warp-faced pieces. Home made reed and rigid heddle by Dyggvi and Janet. We have found some good sources online for the heddle segments for those who would like to do narrow weavings. Some people are going to use the heddles that came with their rigid heddle looms. Janet is planning a 24″ wide shawl. 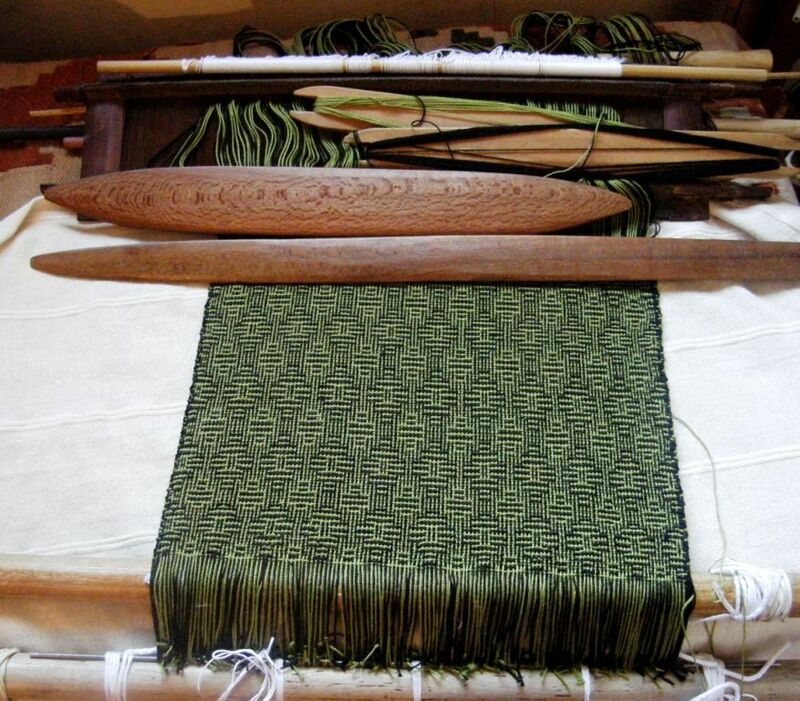 The segments can be found here and here (this link was provided by Traudi) and Joanne from Glimakra gave us information about all the heddles that they have available including some beautiful traditional-style wooden ones for band weaving with handles. And if these gifts aren’t enough from the “Worldwide Weaving Web”, a real live person arrived from the other side of the world…all the way from Doha, Qatar! Fellow Ravelry member Berta aka mountainbird is traveling across South America on her vacation away from the temperatures in the high forties (Celcius) that are typical in her part of the world at this time of year. She is Canadian but has been living in Qatar teaching English for eleven years. This fabric is part of a tent divider which has been cut up to make a bag. 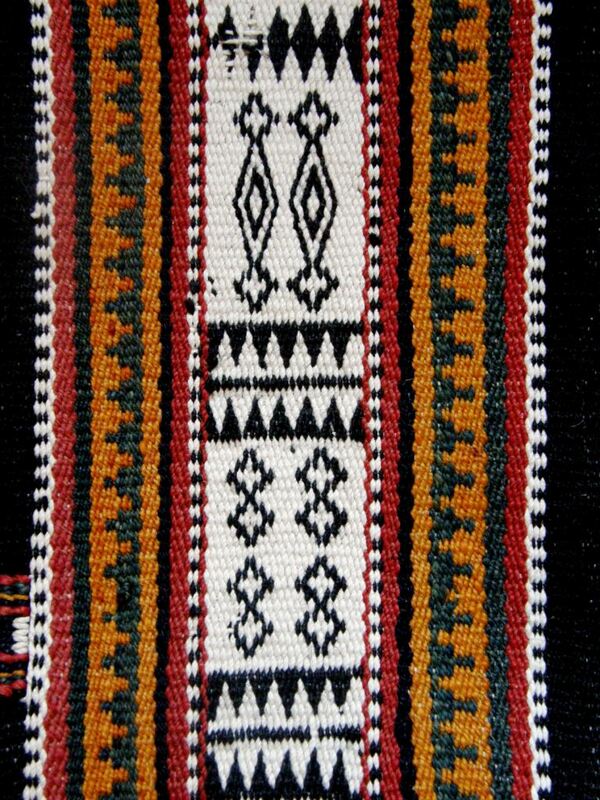 The black and white pattern has been woven using warp substitution technique as has the grey and orange “molar” design. You can also see small segments of weft twining which is what brought me to study these textiles in the first place. 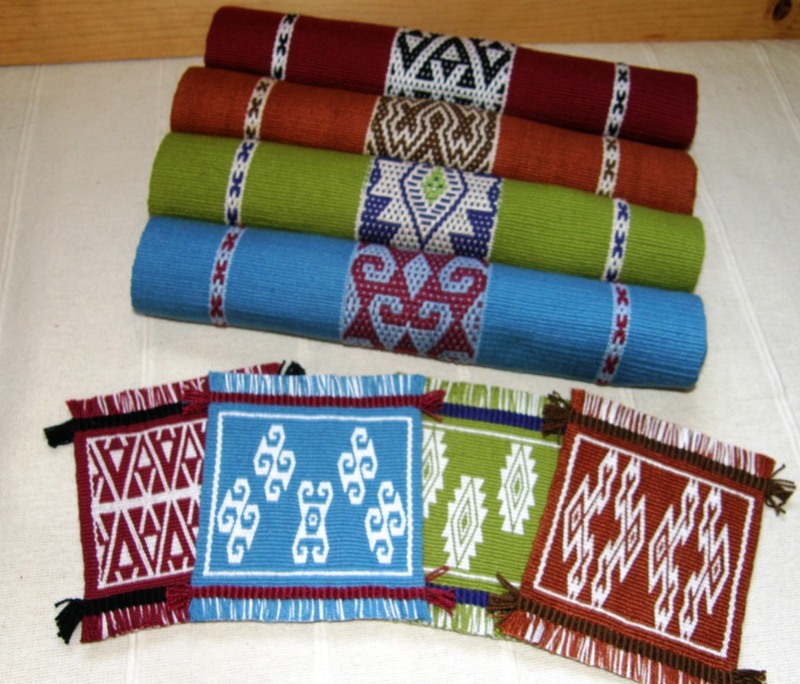 I had learned weft twining with the Montagnard (Vietnamese hilltribe) weavers in North Carolina and google searches on the subject led me to fantastic images of Bedouin weaving which I was able to reproduce being already familiar with the warp substitution and twining techniques. And now many months down the track I am holding a genuine piece of this weaving, a beautiful gift from Tracy all the way from Qatar…what a thrill. I was aware that the yarn used in the traditional pieces is quite heavy but didn’t appreciate how thick it actually is until now. I can now imagine just how terribly heavy a full tent divider must be in this yarn. My reproduction piece below in the #10 cotton just doesn’t seem right at all!! I had a fun couple of days with Berta who, in true Ravelry style, arrived with yarn and knitting in hand with a couple of pairs of socks already finished. She is overlanding from Lima to Buenos Aires…many many bus hours in which to knit! We spent August 6th together and invited an Australian girl from Berta’s hostel (home of Simon the toucan) to join us so we had an Argentinean, two Australians and a Canadian celebrating Bolivian Independence Day in a Brazilian restaurant! 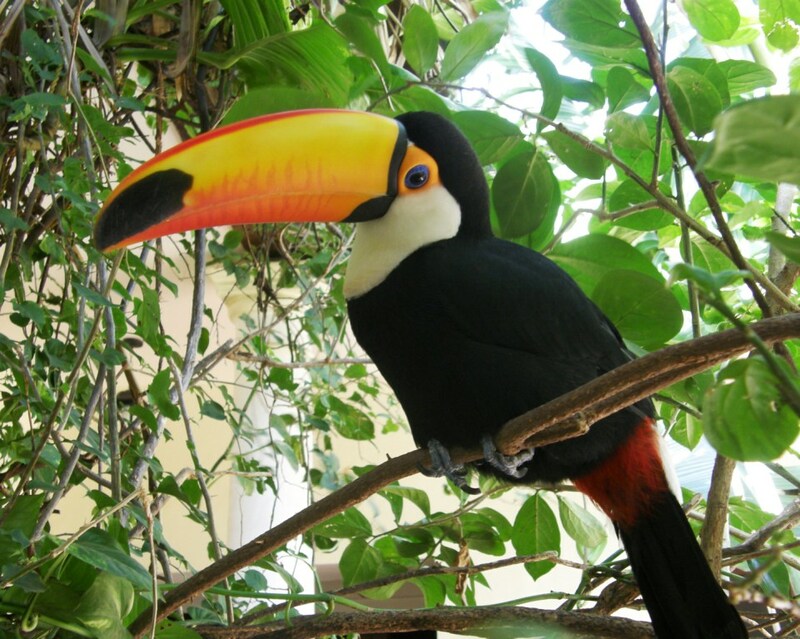 Now she is on her way to Iguazu Falls on the border of Brazil and Argentina. To finish this week, I have put together some pictures and video for what will be the start of a new page on intermediate-level techniques and I wanted to start with a short explanation of what is meant by “complementary warp pick-up”. 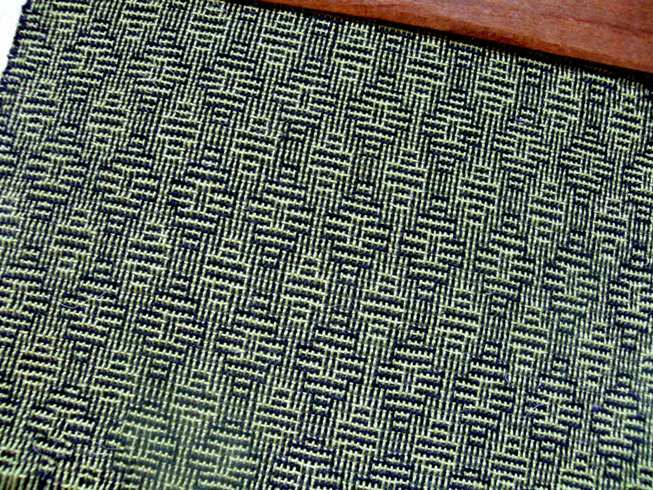 You will probably run into this term when you read about warp-faced backstrap weaving. Andean pebble weave is just one of the techniques that falls into this category. The idea here is not to teach you a specific weaving technique but simply to show you how the weavers pick up the warps to form their patterns when weaving a complementary warp method. Irene Emery defines complementary weaves as those where “two sets of elements play equivalent and reciprocal parts on opposite faces of the fabric,”…. This creates a double-faced fabric. The design on one face of the fabric is mirrored on the other face with its colors reversed as in the pebble weave example below. When weaving a complementary warp technique, the warps are generally arranged in two sheds with the colors separated as seen above. The warps in one color will go into string heddles and the other color will be controlled by a shed rod. In the example above, each black warp has a red partner. 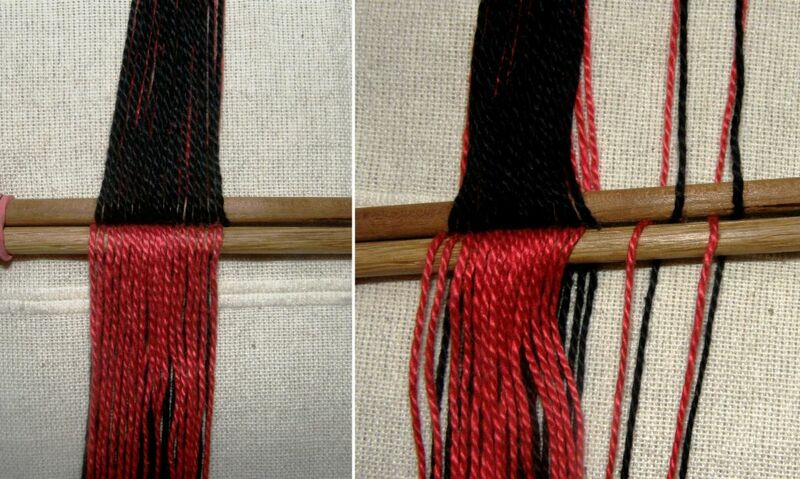 One black warp together with its red partner is called a complementary pair. In the example, the black warp sits on the right of its red partner. I have separated two complementary pairs from the rest of the warps so you can see how they lie. Weavings like these Jalq’a textiles above from Potolo, Bolivia have been woven in a complementary warp technique using red and black threads on a warp that would have looked like my examples above. 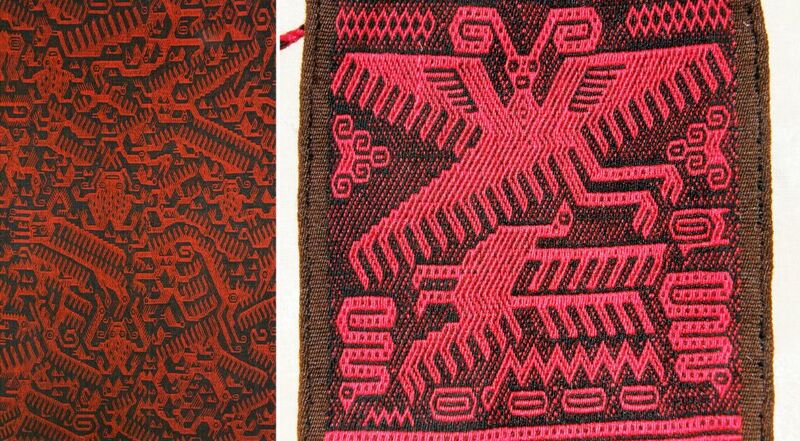 You can see that the faces of the textiles show red figures on a black background. The back of the textile will show the same figures except that they will be black on a red background. The pick-up is done with the aid of the cross. The cross keeps the warps in strict order so that the weaver knows which warps are complementary pairs. If the weaver wants black to show on the upper face of her weaving she will pick up the black and drop its red partner. The dropped red will show on the back of the textile. The way weavers choose to form the cross and carry out the pick-up varies greatly from region to region. There is no one correct way to do it. Above you can see two weavers from Potolo with their red and black weavings. The first weaver has created a ”picking cross” down at the weaving line. She has a stick under all the red warps and has opened up the shed with all the black warps. From this cross she will select the warps she needs for her pattern. When she picks a red she will drop its black partner and vice versa. Like this, she will create a shed of red and black warps through which she will pass the weft. The weaver on the right is doing likewise except that she has inserted a stick under the black warps and has opened the shed with the reds. From this “picking cross” she will select the warps for her design. 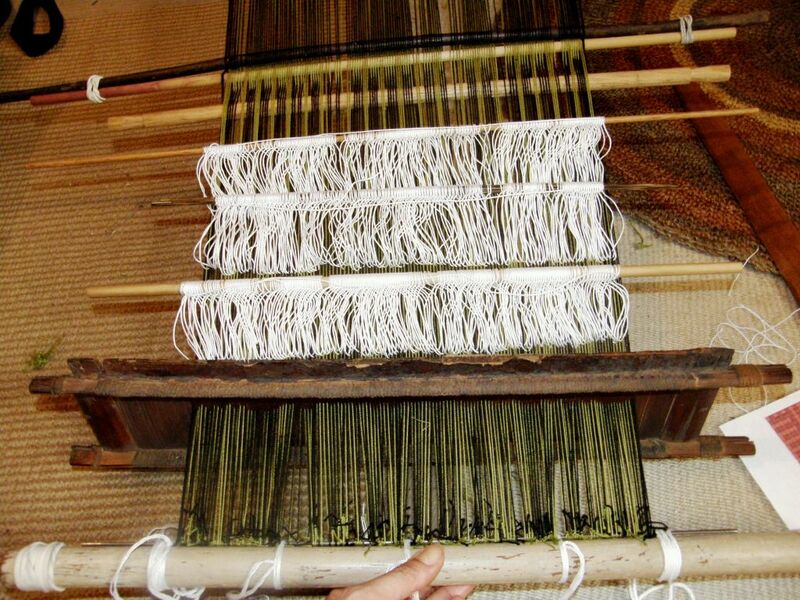 Both weavers are using sticks to pick up the warps. 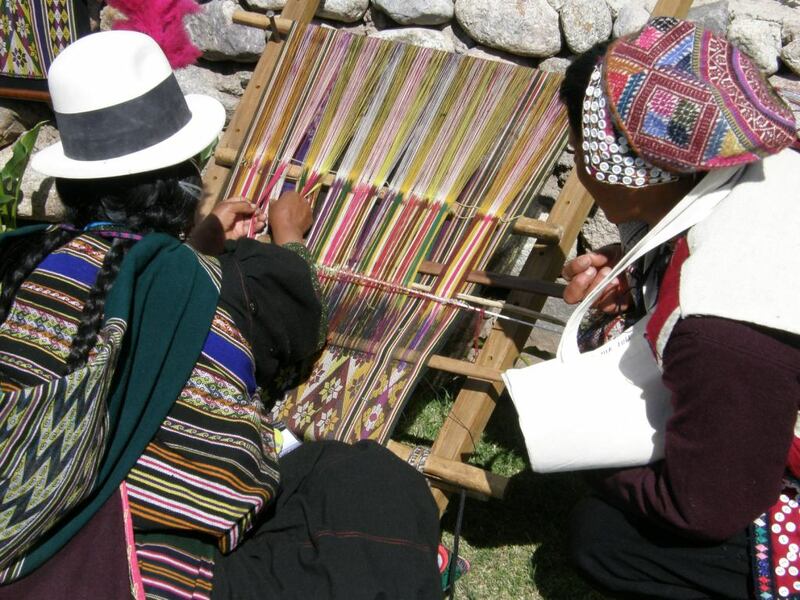 This weaver from Tinkipaya, Bolivia uses her hands to pick and drop the warps for her design. Her weaving has bands of many colors. She has a permanent cross in her warp. You can probably just make it out in the picture. Two cords are holding her cross rather than sticks. She is working her way across the warp picking the color from one side of the cross which she wants to have showing on the front of the weaving and dropping the complementary partner in the other color which will show on the back of the weaving. 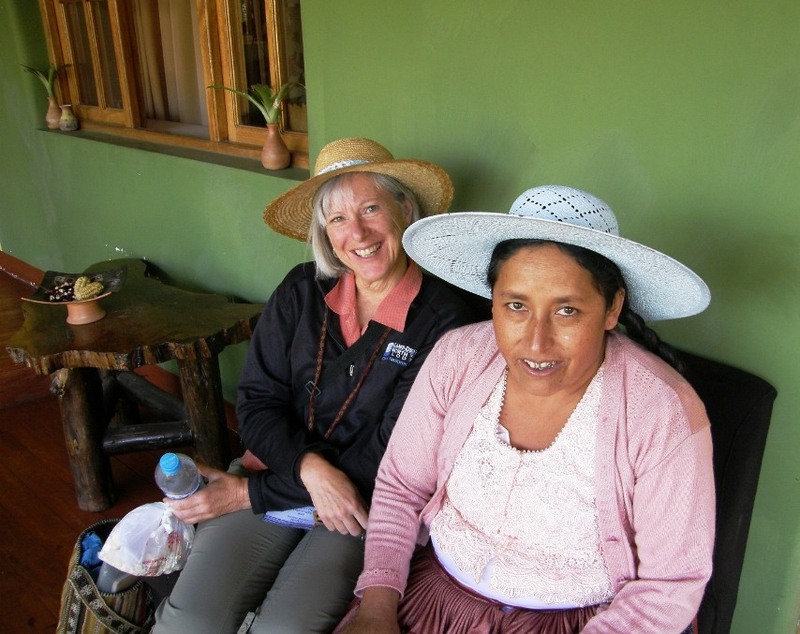 This is the way I was taught to do pebble weave in one region of Peru….picking from a permanent cross with my hands. The pick-up method varies from region to region. Here is a video that I made showing the theory of complementary warp pick-up. This is how I pick one pattern shed of red and black warps through which I will pass the weft to form my design. Here are several video clips of Bolivian weavers from Potolo, Isoso, Tarabuco and Tinkipaya doing complementary warp pick-up. See the hundreds of threads they are working with and see how fast they go! 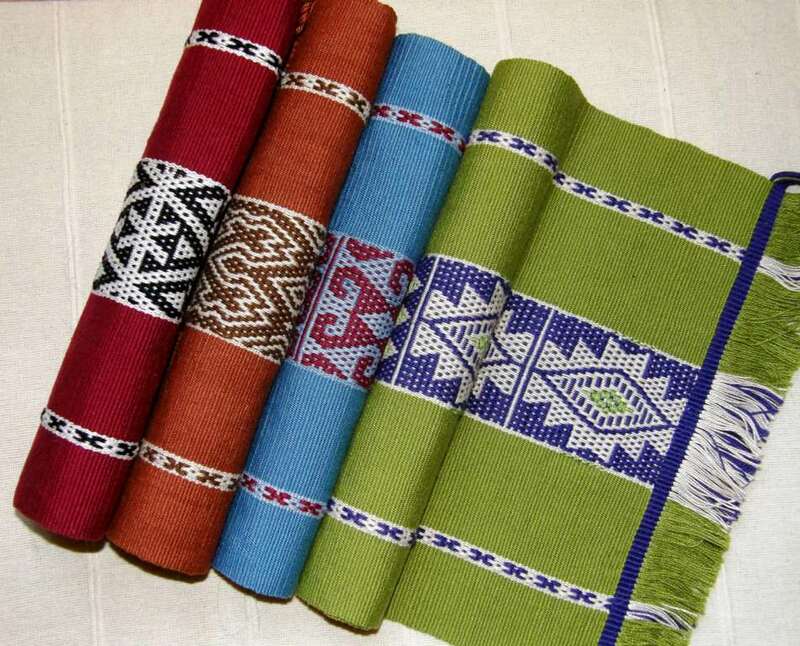 The first weaver you will recognize from Potolo, followed by a Guaraní weaver from Isoso, a lady from Tarabuco and one from Tinkipaya. The second weaver in this video is my Guaraní weaving teacher here in Santa Cruz. The Guaraní weavers have their own very special way of doing the pick-up and are the only ones I have seen who don’t pick from a cross when doing complementary warp pick-up. Angela has her two colors, brown and white, separated into two sets of string heddles and simply pulls on the appropriate heddle when she needs a color. Somehow she manages to keep her complementary pairs in order and doesn’t mix up or cross the threads! Well, I hope that these videos and explanations have been interesting for you. Those who have my Andean Pebble Weave book may like to see the theory of the pick-up I am describing therein with step-by-step pictures, in action here in my video. Note that none of the weavers in these videos are doing pebble weave. Pebble weave is just one of several techniques that fall into this complementary warp category. I am off to the highlands tomorrow for some weaving lessons and will be meeting up with my Tinkuy roomies Dorinda and Maxima and seeing a bit of the Virgen de Urkupiña festival. I’ll be back next week with some new weaving knowledge and hopefully lots of pictures to share. As always, your blog is chock full of great information and beautiful weaving! Your productivity is amazing too! Safe travels and take lots of pictures to share with us! Thanks Jennifer! I have just arrived in the highlands and am surprised to find it warm! I have an old reed like your Chinese one, but I”m not sure how to use it. Does it just float in the warp, or do you have to suspend it from something, as with a regular reed on a floor loom? The yarn I am using in this reed is thick enough in the slots to hold the reed upright on the warp. If I were using finer yarn it would be a nuisance as i think that the reed would dangle on top of the warp and make it awkward to raise the heddles behind it. Ok, thanks. That’s what I was thinking too. how astonishing how you’re going deeper and deeper in your passion ! I can’t believe all the way you’ve done in less than 2 years !!! is that your birthday ??? A VERY VERY HAPPY BIRTHDAY TO YOU LAVERNE !!! Yes, it´s my birthday Michelle! Thank you. This trip to the highlands and weaving classes are my gift to myself! hum Laverne ? I’m a bit puzzled : I was sure you had a page comparing different quality of cotton we could use for backstrap weaving, but I can’t find it ! where has it gone ?? 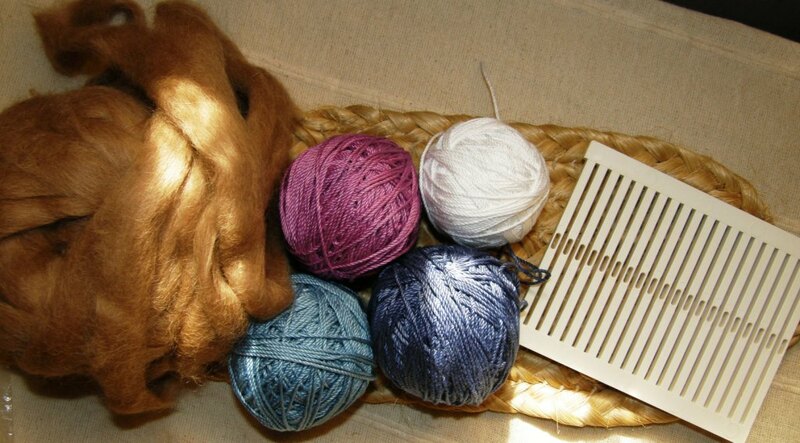 Michelle, there is an FAQ page on suitable yarns. That must be where you saw the info on the different cotton threads. It should still be there…look at the list on the right hand side of the page. Your work is amazing! I am a Pueblo weaver from New Mexico. I also do quite a bit of backstrap weaving. One of our traditional sashes is still woven on a backstrap loom vs. the upright loom that Pueblo weaving is so well associated with. Of course, the backstrap loom pre-dates the advent of the upright. At one point, I remember you had a description up of the 4 color pebble weave technique. Is that still available? 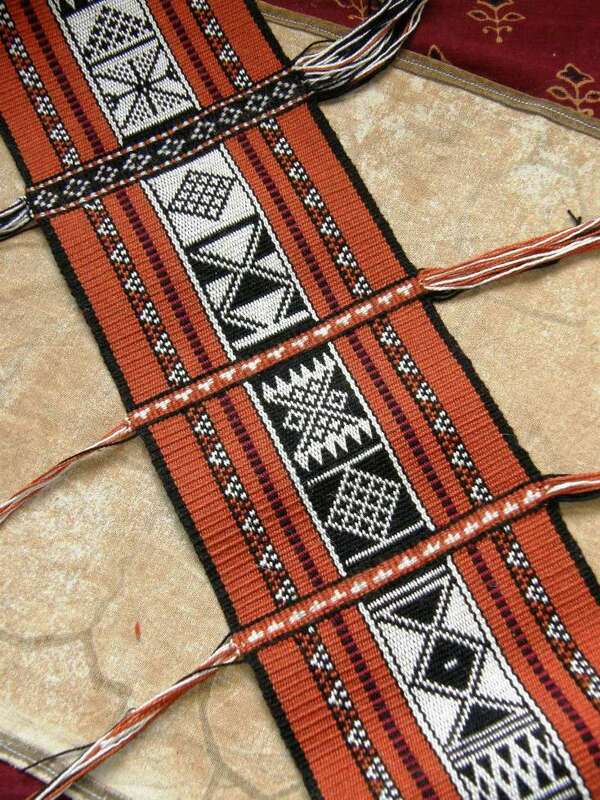 I am very interested in double weave techniques as one of our traditional Pueblo sashes is woven in a double sided (complementary warp-faced) technique. I have been experimenting with the Huichol double weave that I learned from a Huichol woman in Tepic. Anyway, any info you can help me with is greatly appreciated. Feel free to look up my youtube clip under pueblo weaving. Thanks and happy weaving. Hello, Thank you fo contacting me. I have never had a description of the 4-color pebble weave technique on the blog. I have just shown a couple of pieces that I have made. The 4-color weave that I have shown is not double faced so it may not be what you are looking for. I have woven a double-faced version but couldn’t possibly describe the process in an email. What loom do you use to do the Huichol double weave and on what kind of loom did the weaver teach you? I would love to see your sashes and will try to find your video. Maybe you could leave a link here. Oh, I could have sworn I read something about the 4 color pebble weave. I guess not. Like you, I am interested in many different types of weave structures and this particular one I find very interesting. If you know how I might learn more about it, I’d appreciate it very much. It doesn’t matter to me that it is not double faced. Now, I am curious what the back looks like. I was shown and taught the Huichol double weave on a back strap loom. Actually, I have two teachers, a Huichol woman from Tepic and a friend of mine from California, Dr. Schaeffer who wrote a book on Huichol weaving that is very good entitled, “To Think With a Good Heart,” if you ever get a chance to read it. I think you will find it very interesting. I am away from home right now but when I get back in November I will take a picture of the back of my 4-color sash…the one that I have pictured in the banner for my blog and I have some other information for you too.